Who doesn't want to connect with their friends and family while on a vacation or business trip abroad? Roaming can be expensive, however. But with a local SIM card, you can easily send those vacation photos and selfies to your family and friends, stay on top of your emails, and even look online for the cheap dining joints nearby. With this 4G SIM card, you'll enjoy fast, efficient, and dependable mobile service while in Taiwan. It's unlimited Internet—just choose how many days you want to enjoy your mobile data from 8 different packages. 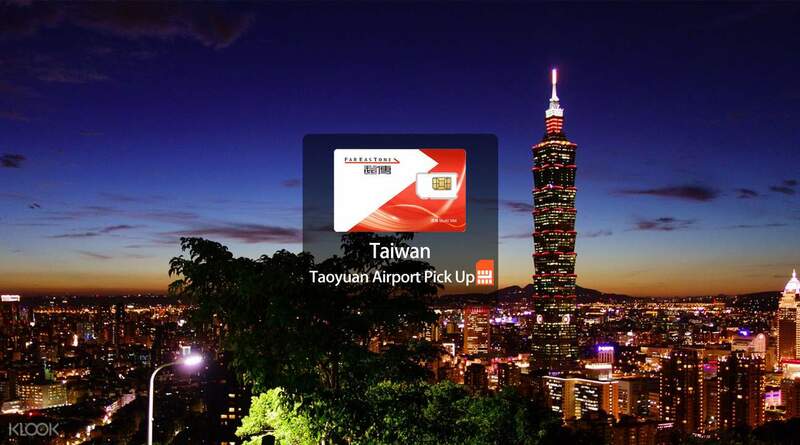 Get the best deal on prepaid Taiwan SIM cards and enjoy unlimited Internet! Stay connected with family and friends while traveling in Taiwan with a 4G SIM card! Great WiFi reception even when I travel out of the city area. I was traveling alone so having data was very essential for me. Ive managed to google map throughout my entire trip and there was no issue at all. The only thing was that the counter to collect ur SIM card was a bit slow. But overall it was great! Great WiFi reception even when I travel out of the city area. I was traveling alone so having data was very essential for me. Ive managed to google map throughout my entire trip and there was no issue at all. The only thing was that the counter to collect ur SIM card was a bit slow. But overall it was great! We got the simcard at arrival hall counter 1 instead in the counter 3 as stated in our voucher. After we managed to insert simcard on my phone, we were amazed by the speed of the internet. We used it wisely to go anywhere we want. Thanks klook. We got the simcard at arrival hall counter 1 instead in the counter 3 as stated in our voucher. After we managed to insert simcard on my phone, we were amazed by the speed of the internet. We used it wisely to go anywhere we want. Thanks klook. It is worth the price. It is very convenient to pick up the sim too. Did not have any trouble using the SIM. Great signal all day and all night. Was able to go online where ever we go. I will definetly buy again if i get to travel. buying through klook is very covenient and the best bargain you can find. It is worth the price. It is very convenient to pick up the sim too. Did not have any trouble using the SIM. Great signal all day and all night. Was able to go online where ever we go. I will definetly buy again if i get to travel. buying through klook is very covenient and the best bargain you can find. Taiwans internet connection is one of the fastest!!!! Right after baggage claim we were able to collect our SIM, just present the voucher to redeem. Everything is swift and easy. Thank you KLOOK for making travelling much convenient. Taiwans internet connection is one of the fastest!!!! Right after baggage claim we were able to collect our SIM, just present the voucher to redeem. Everything is swift and easy. Thank you KLOOK for making travelling much convenient. 10 Days Sim Card (Far EasTone Telecom) with 4G internet speed of unlimited data. Comes with calls and texts (TWD50 credit for local and international calls). You can present either a printed or a mobile voucher to redeem your SIM card at Taoyuan International Airport (TPE) Terminal 1, 1F Arrival Hall counter 3 - Unite Traveler, open 24/7. Hotspot sharing is available. 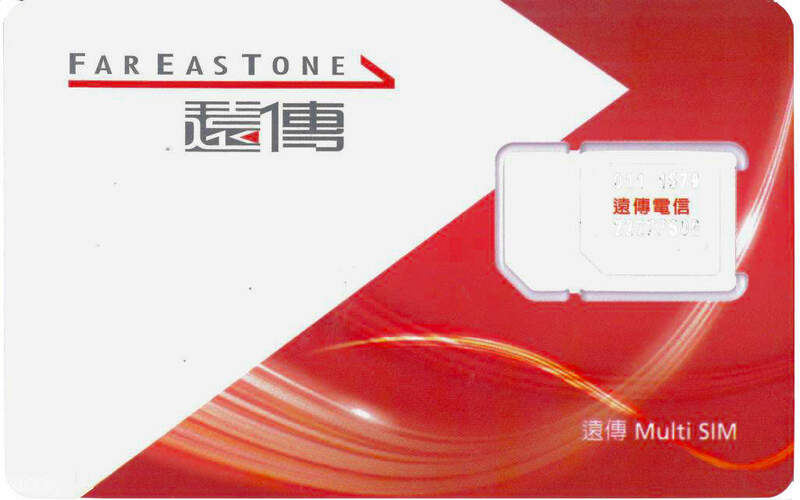 10 Days Sim Card (Far EasTone Telecom) with 4G internet speed of unlimited data. Comes with calls and texts (TWD50 credit for local and international calls). 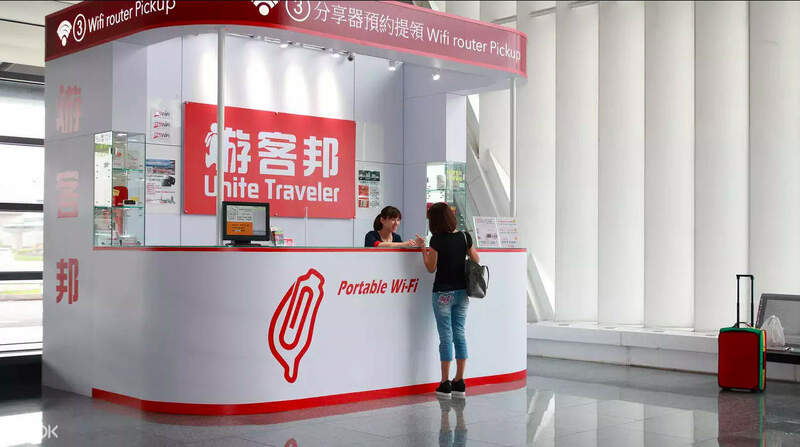 You can present either a printed or a mobile voucher to redeem your SIM card at Taoyuan International Airport (TPE) Terminal 1, 1F Arrival Hall counter 3 - Unite Traveler, open 24/7. Hotspot sharing is available. I think this is the most practical to get if you are travelling to taipei. Super fast internet. And to think that two of my friends are connected also with my sim. Its better than wifi router which requires credit card as deposit for the router. I think this is the most practical to get if you are travelling to taipei. Super fast internet. And to think that two of my friends are connected also with my sim. Its better than wifi router which requires credit card as deposit for the router. Easy pick up! Able to easily locate the pick up booth. And there was no hassle at all. Had a very good connection all through out our stay even we go to Shifen and Juifen. And 2 of my friends were connected via hotspot. Easy pick up! Able to easily locate the pick up booth. And there was no hassle at all. Had a very good connection all through out our stay even we go to Shifen and Juifen. And 2 of my friends were connected via hotspot.